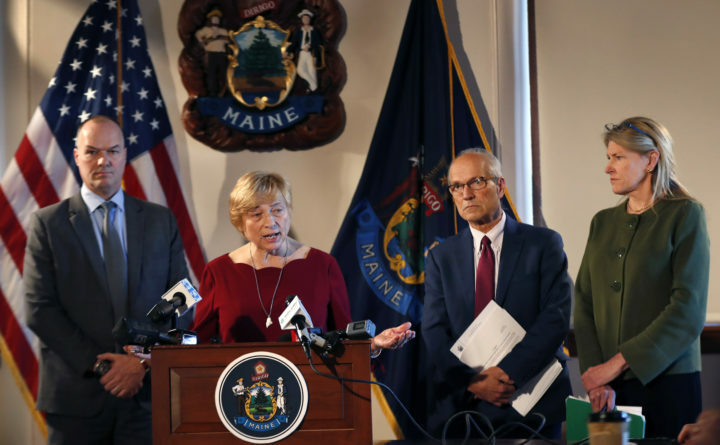 Fighting opioid addiction has been an early priority for the new Democratic governor after fentanyl and heroin drove Maine’s overdose death total to 418 in 2017. The same year, approximately 7 percent of all babies born in the state were affected by opiates or other drugs. Like many states, Maine has struggled with a lack of treatment capacity. A federal estimate said between 25,000 and 30,000 people here want to enroll in a recovery program but can’t access one. On a single day in 2015, less than 5,300 people were being treated with one of the two most common medications used to treat opioid addiction, according to the federal government.